Local wait staff run through old city while balancing "drinks" on a tray. 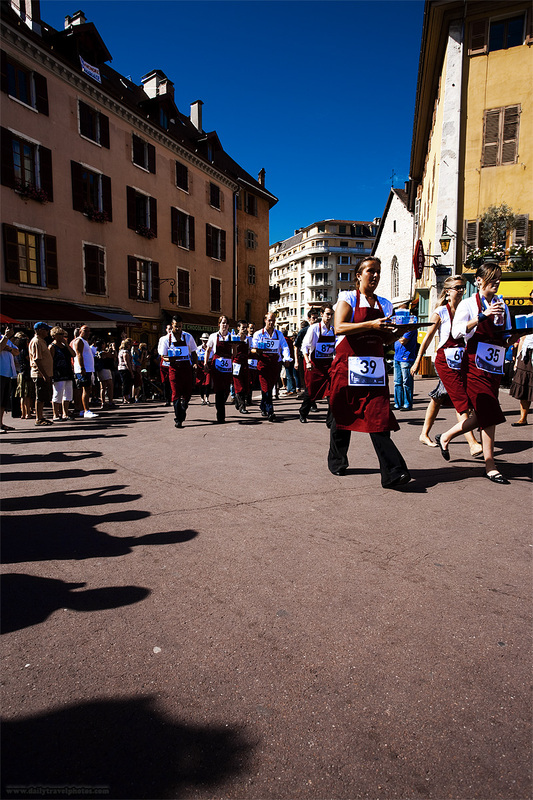 What appears to be a monthly event, the Waiter's Run winds its way through the old city in Annecy. The winner appears to be judged on a timed element as well as the amount of mysterious blue liquid remaining on their trays. 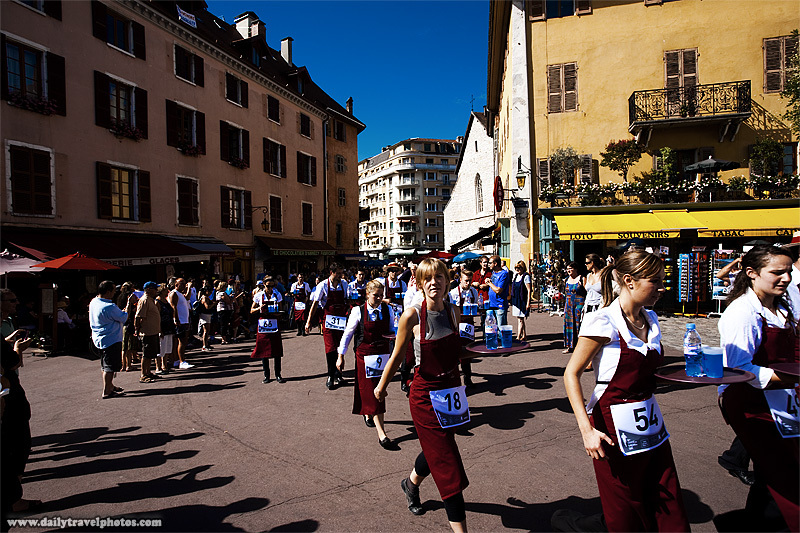 Wait staff from area restaurants participate in a monthly waiter's run through the old town portion of Annecy.